» Can Cats Tell If You’re Pregnant? Has anyone ever told you that their cat could tell they were pregnant? It’s easy find stories on the internet telling how a cat began acting differently after the mom-to-be became pregnant. Some cats apparently become unsettled, no longer sleep on the bed, and are nervous around their owners. Others kitties start being super-affectionate, sleeping on the pillow next to their owner’s head, or snuggling right into their side. The problem is that these stories are all anecdotal, meaning they are based on personal accounts instead of facts or research. 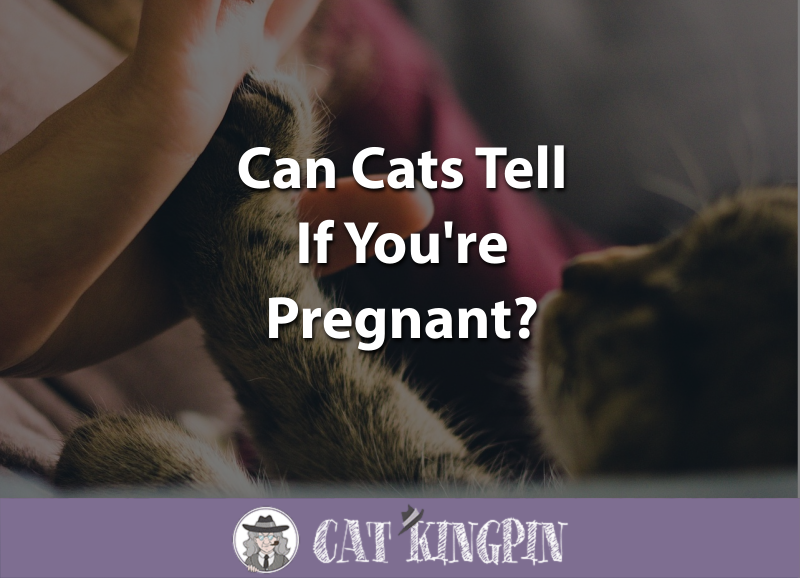 This doesn’t mean they are not true, just that we don’t yet have scientific evidence to say conclusively that cats can, indeed, tell when a woman is pregnant. But, what does the science we currently have tell us about cats and pregnancy? Is it actually possible cats can tell if a human is pregnant and, if so, how would they do it? How Could Cats Sense When You’re Pregnant? How Would Cats Know You’re Pregnant? During pregnancy, women secrete pheromones, which are hormones or other chemical substances produced and released into the environment. No one knows for sure, but it is likely your cat can smell these pheromones when you’re pregnant. This may be surprising since we usually think of a cat’s vision as being their main superhuman sense. That’s understandable since cats can see six times better in the dark than humans do and have an equally-heightened ability to detect motion in these darkened settings. But, did you know that cats actually have a sense of smell that might surpass that of a dog? With dogs that sniff out bombs, drugs, and even dead bodies, everyone knows how good their nose is. The extraordinary canine sense of smell can be credited to a dog’s incredible number of olfactory receptors, the microscopic proteins in the nose that mammals use to detect odors. In fact, a dog’s nose contains between 149 million and 300 million olfactory receptors. By comparison, cats have a respectable 45 million to 80 million receptors, while the human nose comes in with a scant 5 million. However, the sheer number of olfactory receptors an animal possesses does not tell the whole story. In addition to the number of receptors, there are also three different kinds of scent receptor proteins in mammal noses. One of these, known to scientists as V1R, is believed to control a mammal’s ability to discriminate one scent from another. Dogs have nine variants of the V1R protein, humans have two, while cats have 30. But, before you start bragging on cats, you may want to consider that rats have 120 V1R proteins variants, which might be why they are so successful at sniffing out landmines Cambodia. What all this means is that dogs may have a better ability to pick up extremely faint or faraway odors, but a cat is probably better at discriminating between different scents. Cats definitely have a good nose, and, as we can see from the following video, when it comes to hunting, dogs aren’t the only ones that can smell prey that’s nearby. Besides smelling the pregnancy pheromones, cats might also be able to use sight and sound help them to detect if you’re pregnant. One fact of pregnancy is that you gain weight. As your pregnancy progresses, these extra pounds often cause you to move at a different speed, and maybe even with quite a different gait. Cats can see these differences, even if they don’t know exactly what they mean. As far as hearing, many a proud papa-to-be has put his ear on mom’s tummy to hear his child’s faint heartbeat in the womb. It is is possible cats might be even better equipped to hear the baby’s heartbeat. When it comes to hearing, cats beat us hands down, with a hearing range from about 45 Hz up to 79 kHz. By comparison, humans hear in a range from about 20 Hz to 20 kHz , meaning cats can hear sounds we can’t hear. In addition to using its senses, it is likely your cat would notice the many behavior changes that often accompany pregnancy. Just like how cats change their behavior while pregnant, so do humans. While cats may sometimes seem unpredictable, cats are actually creatures of routine. They know your schedule and are likely to notice any changes around the household. Many pregnant women experience morning sickness. Sleep patterns can change with many women going to sleep at different times, or just sleeping a lot more. Often, the expectant mom’s daily routine changes dramatically, with doctors appointments and all the preparation that goes along with bringing a new baby into the home. Even the house may change as one room is made into a nursery. While a cat might not fully grasp the reason behind the increased consumption of ice cream and pickles, you can bet they will notice something. Let’s watch a video chronicling the loving way a pair of cats reacted to their family’s pregnancy. So, Can Cats Tell If You’re Pregnant? Between your cat’s sight, hearing, and, most significantly, sense of smell, it is likely your kitty can tell if you’re pregnant. Additionally, your cat will notice the many changes a pregnancy brings to both you and the home environment. All of this speaks to the special bonds cats have with their humans. If you are pregnant and have a cat, be sure to check out Tell Your Cat You’re Pregnant: An Essential Guide for Cat Owners Who Are Expecting a Baby. This book is full of the latest behavioral knowledge and practical advice on how to create a loving bond between your cat and new baby. And, what could be better for starting your new baby off as a cat lover than this Jellycat Bashful Plush Baby Ring Rattle. Cats and babies, what a great way to have a house full of love! If you have any questions or would like to share a story about how your cat was when you were pregnant, please do so in the comments below! We’d love to hear from you! Phil’s lifelong love of animals began as a young boy growing up with three pet dogs. 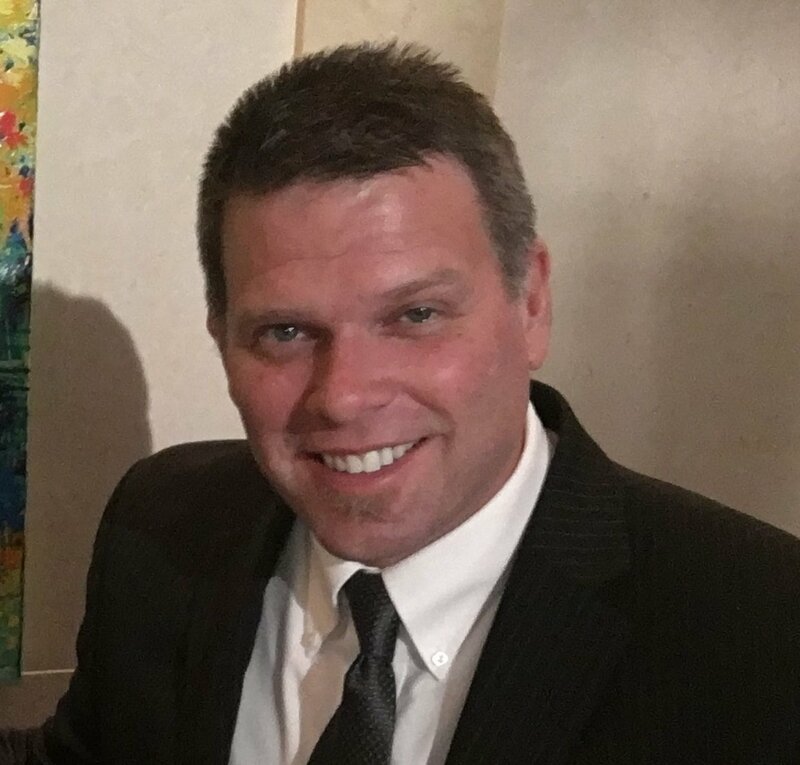 As a teenager and young adult, Phil spent six years working as a veterinary technician, later earning a B.S. in Animal Science. After college, Phil continued working as a vet tech part-time while caring for a private collection of mountain lions used in wildlife educational programs. During this time, Phil volunteered at the Dallas Zoo and was eventually offered a position as a zookeeper in the zoo’s naturalistic Wilds of Africa area. Phil became the primary keeper for a black leopard named “Grady” and a caracal named “Tut” in the predator/prey exhibit.